Fashion, Beauty, Hair, and Artistic Magazine for upcoming artist. 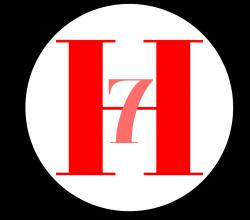 7Hues Magazine is a quickly growing upcoming publication that seeks to provide diverse content through print and digital presentation with a variety of different topic areas based around fashion, beauty, hair and art. We work to provide a welcoming platform where all creatives can come together to create a healthy dialogue about today’s creativity as well as be able to view what’s hot and what’s new in today’s society. We are the future of today’s platform for creative minds!